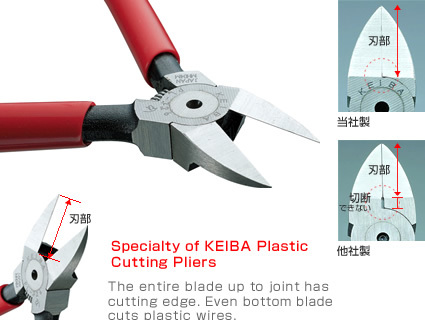 Developed for cutting plastic in the plastic processing industry, these cutters are not suitable for cutting metal materials. Model and size selection is available upon request. Smaller sizes in 100mm and 125mm are also available. Coil springs affixed as standard make jaw-opening easier. Special vanadium steel material is used.